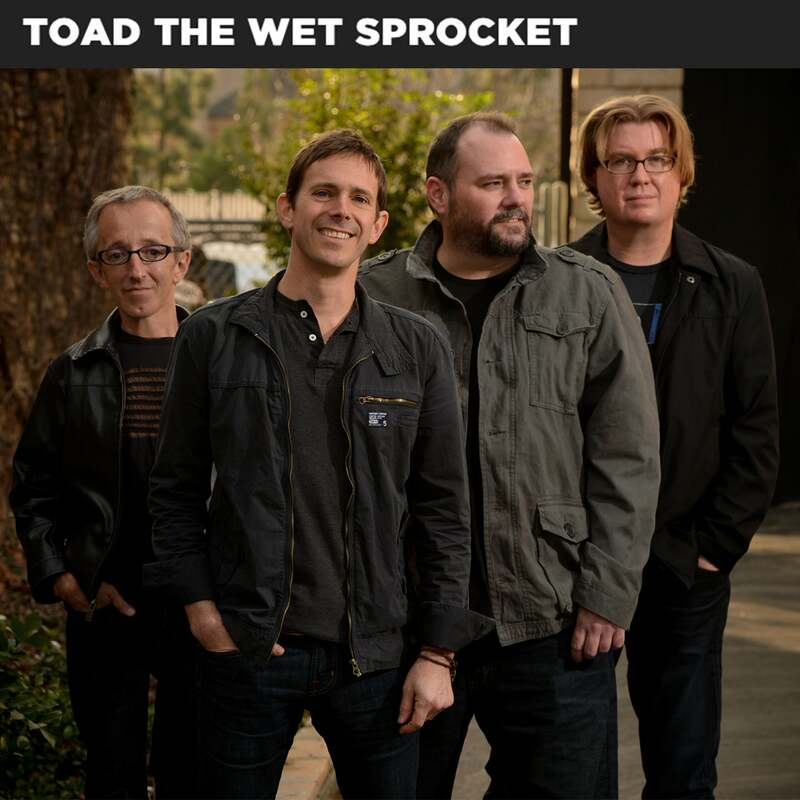 Toad the Wet Sprocket (Glen Phillips on lead vocals and guitar, Dean Dinning on bass and vocals, Todd Nichols on lead guitar and vocals, and Randy Guss on the drums) share in the kind of musical chemistry that can only come from meeting in high school and writing, recording and touring on albums over the course of those 25 years. After “Bread & Circus,” they followed with “Pale” in 1990, “fear” in ’91, “Dulcinea” in 1994, and “Coil” in 1997, as well as some compilations and rarities compilations along the way. While most will feel the comforting familiarity of the Billboard-charting hits, “Walk on the Ocean,” “All I Want,” “Something’s Always Wrong,” and “Fall Down,” new fans will also be well familiar with their new hits such as “California Wasted” which continues to climb the charts. Even with a period of the band members weaving in and out of each other’s musical lives, the same creative curiosity that inspired the band to form in 1986 has brought them full circle to come back together again. Toad the Wet Sprocket’s last album “New Constellation,” which was launched with an impressive #3 most funded Kickstarter Campaign in music for the year, was the bands’ first new album in 16 years when released in 2013, and features the singles “New Constellation”, “The Moment”, and “California Wasted.” The band’s current release, the EP “Architect of Ruin” was released in June of 2015.